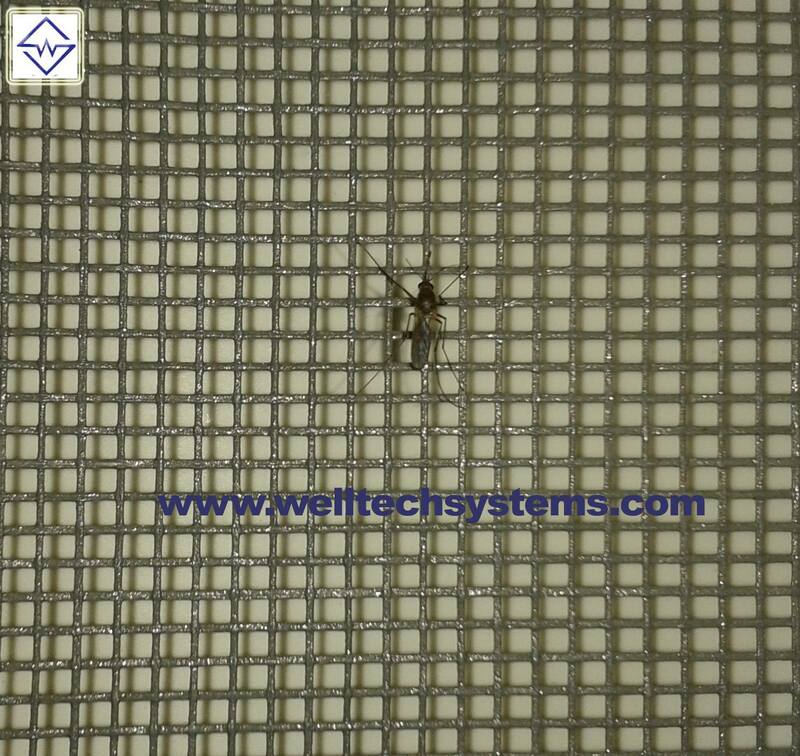 Welltech Systems is India’s leading manufacturer and distributor of insect screens and insect screen systems to keep flying insects (mosquitoes). We provide high quality mosquito nets, mosquito screen doors, window mesh screens. Mosqutio Mesh For Doors- Double Door, Hyderabad. Mosquito Screens for Doors, Mosquito Nets For Doors, Mosquito Mesh For Doors, Double Door with Mesh. 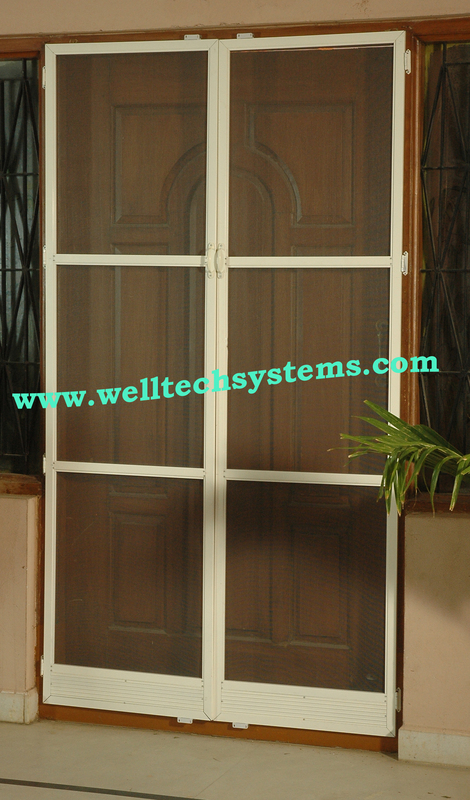 Welltech Systems is leading manufacturer of Mosquito doors. Add high style to your home with a double screen door system which is made of Aluminum profiles and reinforced corners with high grade Nylon and also available in one side fold-able door. Has Fiber glass, Aluminum and stainless steel net making the screen robust and improving the durability. Durable fiberglass screen resists damage. Eenadu News Paper Article on World Mosquito Day, 20 August..
“World Mosquito Day“, is observed annually on 20 August, i.e, TODAY is a commemoration of British doctor Sir Ronald Ross’s discovery in 1897 that female mosquitoes transmit malaria between humans. Save from Mosquito’s and their Bites. Let’s follow cautions given by Indian Government and Medical Services and take precautions before we are borne to the diseases caused by mosquito bites. We Welltech Systems took initiative to educate all to protect self from mosquito’s.. Contact: 040 64 509 509.. Saves lives using Mosquito Netting! Mosquito netting reduces the risk of malaria infection and other mosquito borne diseases by 20%. Each year, according to the World Health Organization, some 500 million people are infected with mosquito-borne illnesses: dengue, malaria, yellow fever, encephalitis. The World Health Organization estimates that yearly 300-500 million cases of malaria occur and more than 1 million people die of malaria. Whether you are living in a high-risk area or perhaps are traveling to one, mosquito nets offer essential protection against mosquitoes, flies and other insects.Various types of mosquito netting is provided by Welltech Systems. The main products welltech makes are: – Mosquito Nets types that come in Fiber Glass, Aluminum and Stainless Steel. The Aluminum profile types that come in Sleek Window Frames, Roller Screens, Pleated Screens and Openable Doors which are Powder Coated for Aluminum Channels. We offer our services in and around Hyderabad, India. 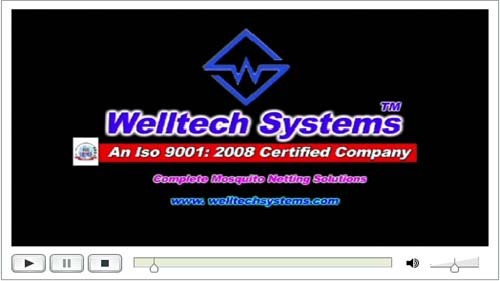 Welltech Systems, A complete Mosquito netting Solutions.